What is the difference between a classic rock record and a Classic Rock record? Sometimes it's obvious. Anything (or many things) by the Rolling Stones or Neil Young obviously qualifies, but Classic Rock, above all, is defined by the target demographic of the stations that play it. That is, white dudes of a certain age. And like the judge said, you'll know it when you see it. Of course, Twilight isn't the first time anyone's written about the Beatles on Ed Sullivan, the Stones at Altamont, or The Band's Last Waltz. 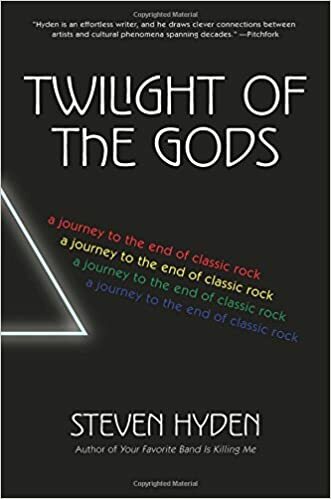 But as a generation of Classic Rock stars begin their farewell tours—for good this time—Hyden's book contemplates the biggest question: What happens when the gods themselves are proven mortal, and what does it mean for their acolytes? A few weeks ago, Hyden and I spoke about the book over the telephone, and the following is an edited transcript of our conversation. I had planned on taking 20 minutes, but we ended up going more than twice that, so this runs a bit longer than our usual conversation. Too long? Maybe, but so is "Stairway to Heaven." And it's a Classic. 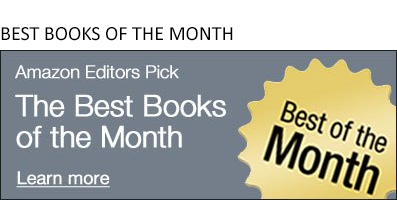 Jon Foro: You've organized the book as a Joseph Campbell-style hero's journey, which is appropriate for the kinds of people that you're talking about: The Golden God-style rock stars like Robert Plant. One aspect of that journey is the death and resurrection--you talk about all the times that rock has been declared dead. Why does it die, and why has it been so resilient? Is it actually dead now, because it seems kind of dead. Steven Hyden: The reason why that's a cyclical story is that people look at culture through their own lens. Usually music is more exciting when you're a kid--when you hear the first band you ever loved, when you were 14. That is going to have an impact on your life that can't possibly be replicated when you're 24, or 34, and certainly not when you're 44. I think that's where "rock is dead" comes in. [In] "American Pie," the Don MacLean song, he's talking about "the day the music died"—Buddy Holly, the Big Bopper, and Ritchie Valens, the day that they died [in a plane crash]. He's writing about rock music from a very nostalgic point of view: It used to be innocent, and now it's this cynical, cold, corporate thing. He wrote that song in 1971, which is a year that we look back on in rock history as being one of the greatest of all time. That's the year of Sticky Fingers and Every Picture Tells a Story and What's Going On by Marvin Gaye. He was in the midst of all this stuff and he still felt nostalgic for 1959. The reason why? He was around 14 in 1959. He was mourning his own loss of innocence, as much as the loss of innocence in music. The reason that "rock is dead" comes up all the time is that people are really talking about themselves. Their own relationship with rock music has died or it's changed or it doesn't feel as exciting anymore. And that provokes people to declare that the whole thing must be over. The difference between classic rock and big Band music is that people born 30 years after Big Band peaked weren't still listening to Big Band music. Classic Rock still has an audience among people like me. I started listening to the Beatles 20 years after they broke up. I started listening to Led Zeppelin 10 years after they broke up. I don't think kids in the '60s were really hip on Benny Goodman. It's inevitable that fewer and fewer people will listen to it, but I think it will have a longer tail than a lot of culture has because of the mythology of it. I guess that's the thesis of the book: That Classic Rock has as much to do with the stories that people tell about it as the music itself. What I loved about it was the idea that these weren't real people. Jimmy Page, Keith Richards, Pete Townshend, Bob Dylan, they were like comic book characters to me. I was into pop music as a little kid, but it didn't seem important enough. It didn't have the larger than life quality that Classic Rock had. So loving those bands—and loving bands that drew on the lineage of it—became a big thing for me. A lot of other people have said something like this, but in 1981 or 1982, the Stones were touring for Tattoo You. Everybody I knew had to go see them because they were 40, and it was probably the last time that anyone was going to get to see them. But obviously, they've kept at it for another 40 years. Now you see Mick Jagger as a septuagenarian, shimmying around at the Super Bowl, and if you're a millennial or someone younger than that, it would be hard to convince them that that was ever cool. Does that kind of longevity hurt Classic Rock's ability to appeal to later generations? No. That's my short answer to that. I think it will actually hurt when they're gone. There's going to be a void where the music will only be myth. The first big stadium show I ever saw was the Rolling Stones, the Voodoo Lounge tour, and that was when they were 50. I remember thinking, "I have to see the Stones because Mick Jagger's 50, and who's ever heard of a 60-year-old rock star?" It was clearly going to be their last tour. But when they started playing, they became the Stones of my imagination, the Stones from '71 and '72. I saw the Who in 2002, right after John Entwistle died, so it was only going to be Townshend and Roger Daltrey. I was pretty cynical about it going into the show. This wasn't going to be any good, it wasn't the real Who.... But as soon as they started playing, the imagination kicked in. I really think the imagination of the audience has a lot to do with the shows. Not to say that the bands don't still play well or they don't put on a good show, but you're projecting something onto them that comes from your own experience listening to those records. And something happens in an arena when the show starts, that they're not who they are now. They become what they were, and what they are to you in your own mind.